Sometimes I find myself a bit wary when the beginning of a book is really good. It either continues to be really good (every Maas book written) or doesn’t hold my interest for much longer after that (Ever the Hunted). 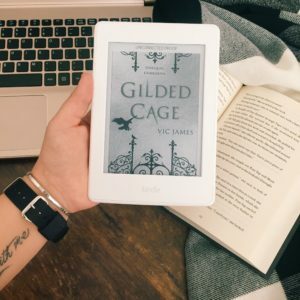 Gilded Cage opened with anticipation and left me intrigued and I found myself in this situation once again – really great beginning, but would it hold up? It did – every page of Gilded Cage held my interest. It was full of magic and politics that made for a lot of moral questioning. There were secrets that made it unclear who to trust. There is revolution on the horizon. The oppressed (Unskilled – they lack magic) are getting angry and those oppressing them (Skilled) are getting worried. I could not put this book down. My hopes were high for characters on both sides of the divide. I particularly enjoyed Silyen Jardine. He held me captivated the most. I was fascinated by him. He was silent yet conniving. He was mysterious, smart, and one the most powerful Skilled characters in the book. I never knew what was up his sleeve and when he did act I never knew if it was with good intentions or not. I’m giddy with anticipation for the sequel already! I thrive on romance in books. I need romance in books. However, there was very little romance in Gilded Cage, which would usually have me not wanting to continue – but that’s how great this book was. I didn’t even mind that the romance took a back seat. 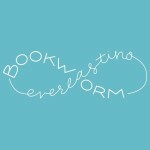 I was so enraptured with the storyline that when the romance came around my first thought was yeah, yeah, get back to the main storyline – something that never happens! There’s a lot that goes on in Gilded Cage. It will question you, excite you, and make you eager for more, especially with that ending. I know I will be sitting here eagerly awaiting its sequel.